Thing of the Week: Customizer Contest Winners! This is quite complex and just as fantastic. Every part is printed, assembled by snapping mechanisms, and the notes are completely customizable. This allows any song to be captured on printed plastic, as long as it’s a pretty short song. This was his first model designed in OpenSCAD, so kudos to him for winning a contest with it. There are five plate sizes and 18 ports that can be added, such as HDMI, USB, Cat5, and Firewire. According to his Mathlete friend, there are an estimated 850,789,801,599 combinations to be had. 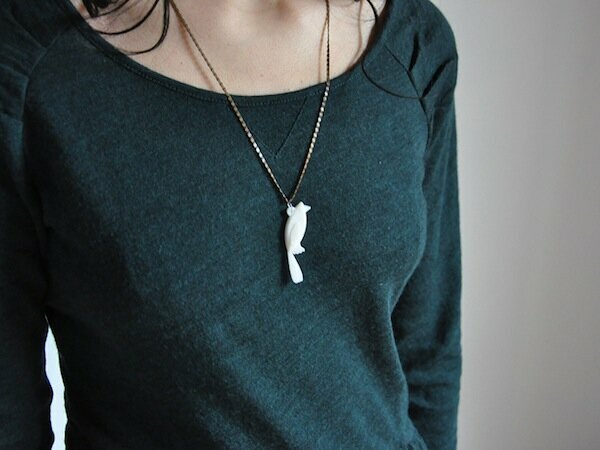 It’s a bird pendant. You can adjust how many feathers and feet it has, the angles of each, and several other things. Cute. Congratulations Customizers! Enjoy your Experimental Dual Extrusion Replicator 2s; you can print these dualstrusion models on Thingiverse now!